Brian Hall, PE, CCM, Vice President, Transportation, has more than 20 years of experience in providing professional services for the delivery of civil infrastructure projects. He is responsible for leading the strategy, sales and delivery of transportation services for the company. 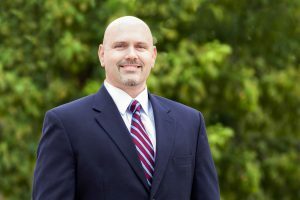 Brian began his career at TxDOT and has worked for several of the leading A/E/C firms in the industry, providing construction management services for public and private clients. His background encompasses project delivery methods such as Agency CM, General Engineering Consultant (GEC), Construction Management at Risk (CMAR) and Design-Build utilizing Comprehensive Development Agreements (CDAs) and Public-Private Partnerships (P3). His areas of specialization include PM/CM services, construction scheduling, contract administration and claims. Brian joined Foster CM Group in 2017. As an active member of the Construction Management Association of America (CMAA), Brian previously served as the South-Central Texas Chapter President and CCM Committee Chairman. He also serves as faculty instructor for the CMAA Standards of Practice (SOP) courses, specializing in CPM schedule training. Brian attended the Ohio State University and received his Bachelor of Science degree in Civil Engineering from Ohio Northern University in 1997. He is a registered Professional Engineer in Texas and a Certified Construction Manager.